Recurrent injuries. Cut throat competition. Undue stress. Performance anxiety. Young athletes need something that relaxes and strengthens their body and mind. Yoga helps strengthen the mind and body connection, relaxes and rejuvenates both the body and mind. · Yoga is not just a form of exercise, it is therapeutic. Yoga helps focus on breathing, the balanced postures help improve the flow of lymphatic system which helps fight infection and releases toxins from the body. It helps boost immunity. · Yoga helps strengthen the body with flexibility, focus and coordination. It helps heal and strengthen the muscles of the whole body, it helps work on mechanics. It helps increase the range of motion and increases flexibility. It also helps the body recover from strenuous workouts and play schedules, relaxes the body. · Yoga helps release stress. It has been proved scientifically that yoga helps lower heart rates, reduce blood pressure and reduces the production of stress hormones. More so, yoga helps bring in tranquility and peace, both with the body and mind, which is an absolute must for young athletes. It is a great exercise for mindfulness. · Yoga helps with physical mental and emotional wellbeing. Yoga helps balance the nervous system and stimulates the release of happy hormones, endorphins. 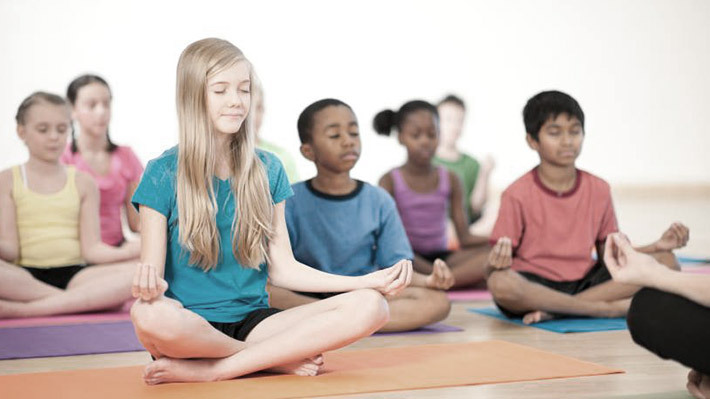 Kids who practice yoga are have better self-control and are confident. They perform better in sports and academics, and are generally at peace with themselves. There are a lot more benefits of yoga, especially for kids. When children learn to be clam, and aware of their inner capabilities, they gain the strength to recover from everyday injuries and stress on their own. they are less prone to anxiety and depression. Kids who learn yoga lead a joyful and optimistic life. Children in the digital age have very stressful lives. We as parents can provide them a peaceful, creative environment that helps them unwind and discover. Yoga will help our child in ways beyond your imagination. An age-old fable, but still, never fails to inspire whenever you listen to it. There are so many challenges parents face while bringing their children up, but if someone were to sum-up the challenges, the problems, the complications that parents face with their children, it would all boil down to the two wolves. The good wolf inspires the kids to have an optimistic mindset, and the bad wolf hauls them into a self-detrimental pessimism. There’s something we need to understand about our children – kids are vulnerable with their emotions, they don’t really know how to react, and so are constantly looking for clues in their immediate environment. We, as influencers, are passing on the traits to our kids, both actively and passively. We want our kids to become positive, progressive, kind and compassionate, but do we model the behavior ourselves? Not the kind of behavior we ‘put up’, but the kind of behavior that is our ‘natural instinct’. While we struggle in our lives with money matters, relationships, personal issues, professional issues, and more, we unfortunately pass on a paradigm that has regression, resistance, anger, fear and hostility. And we get frustrated when our kids reflect the same, in their tiny world with tiny problems. It’s a grave problem with a rather simple solution. We need to be the change we want to see in our kids. Children are too susceptible to be able to have that kind of emotional control. We set the track for them. We feed their wolves. Youth sports is tough. Parents know it. They see their little ones sweat it out on the field. They see their kids go through the mental and emotional pressure of being in competitive sports while trying to keep up with school. Similarly, sports parenting is tough too. Parents have to be jugglers, and fine ones at that, maintaining a delicate balance between work, home, kids’ activities and personal life. That said, parents do not get to take any of these roles for granted on the pretext of multitasking. On the contrary, your commitment to each of these roles becomes pivotal, each small detail of it does. Okay, so you’ve adjusted your work schedule to be at the game, you are driving your kid, sports gear - check, parent gear - check, everything taken care of, you’re good to go. 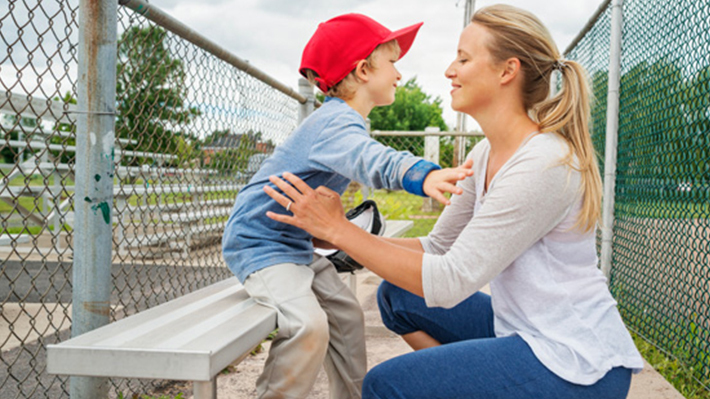 Having taken care of these details, do you become the ideal sports parent? Maybe. Maybe not. Well, here’s a list of some finer points that will go in a long way to make your child’s sports experience successful, and your job as a sports parent, fulfilling. More than logistical support, your child will need mental and emotional support. You might have to play the role of a friend sometimes, a life coach sometimes, a counselor sometimes and a fan, most of the times. · You need to pragmatically review your expectations vis a vie your child’s capability. 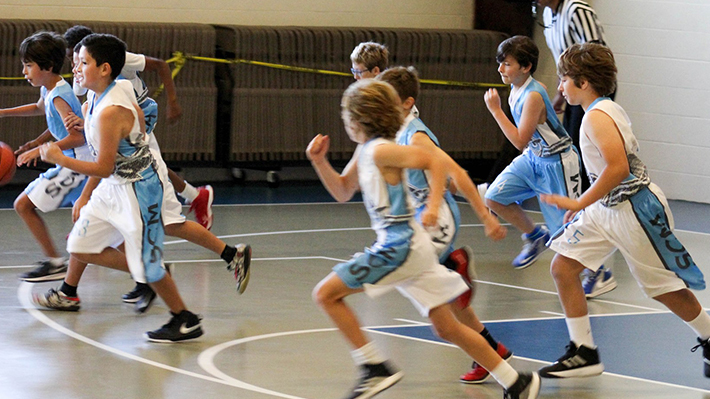 An over expectation or underestimation, both can be derogatory for the child’s sports career. · Trust. Your child. The coach. The game plan. · Let your kid enjoy the game. It’s their experience, not yours. · Let the coach, coach. Do not meddle with technique or strategy of the game. As a parent best you can do is support. · Encourage your child to participate. Do not participate on her behalf. You need to encourage your child to mingle with the team, have frank conversations with the coach. · Never bad-mouth the coach, strategy or any game related topic in front of your child. Never. Take this sports exposure as an opportunity to learn, both sports skills and life lessons. With this mobile-screen-glued generation, see it as a gift that you kids is playing in natural air, is sweating it out, living a real life and not a virtual one. With regards to sports career, just do the right things in right proportion, and rest que sara sara. It was just a regular day for Varun Rattan, Head Trainer at one the leading gym chains in the country. Varun was to meet a new client. When he met her, he learned that she was living with lupus. Because of her lupus she had multiple disorders like hypo-thyroid, rheumatoid arthritis (palindromic), degenerative cervical, migraine, cough induced asthma, nerve malfunction and almost no muscle strength. Varun, not sure of the course he would take, but determined to help, took on the challenge. He knew it wasn’t going to be an easy trek, and it wasn’t. Varun started with rehabilitation training. Each day was a new day with new challenges. Good days and bad days were bit too frequent. Muscle stiffness, pains, fatigue, tenderness would occur without any pre-symptoms or suggestive reason. Varun started reading up and leaning about her condition and the challenges she faced. Every day he would take cues from the way her body responded to simple mobility exercises he started the training with. “You cannot have a plan laid on a paper. While training people with special needs, you need to think out of the box, because each day may demand a different set of training variables. The physiological, metabolic, social, affective, and perceptual characteristics are unique to each special-needs client, with a different orientation every day and you might have to rethink your goals every single day”, says Varun. It’s not an extraordinary situation, although it does require extraordinary efforts. As per statistics published by US Census Bureau – nearly one in every five people in US have a disability. Lupus (one or other forms of it) alone affects about 1.5 million Americans (GfK Roper (2012). Lupus Awareness Survey for the Lupus Foundation of America). And then there are conditions like Attention-Deficit Disorder (ADD), Attention Deficit Hyperactivity Disorder (ADHD), aspergers, amputees, Autism Spectrum Disorder (ASD), Cerebral Palsy, Down Syndrome, Intellectual Disability, Spina Bifida, mechanical disorders, stroke victims, traumatic brain injuries, recovery from terminal illnesses, and the list can go on. There are several physical, cognitive and psychosocial challenges a person may be dealing with. For practical reasons, it may not be possible for a fitness trainer to be thorough with all conditions. Even being well versed with a handful would be difficult since each condition can have distinct manifestation for each person. It’s important for a trainer to understand that while training people with special needs, he needs to work beyond helping build physical strength. In most cases, fitness trainer doubles up as a life coach who motivates and helps strengthen a host of emotional attributes, like optimism, perseverance, determination, discipline and much, much more helping relieve stress and build self-esteem. “While for able bodied clients, sense of achievement is the motivation, for people with special needs the journey is more important”, says Varun, the ACE certified trainer who has worked with several special-needs clients. “You need to get into their mind and body to understand how do the two work individually, and together. You must get into behavioral and personal insights to get cues”, he adds. Although, there are several professional organizations that offer specialized trainings to equip trainers with apt knowledge to work with people with special needs. 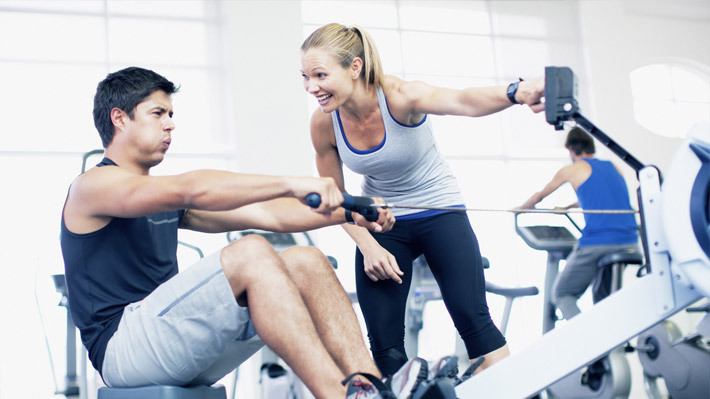 There are purpose-built training accreditations like NSCA (National Strength and Conditioning Association) Certified Special Populations Specialist® (CSPS®), NASM (National Academy of Sports Medicine) Certified Personal Trainer, AFPA (American Fitness Professionals & Associates) Personal Trainer for Special Populations Certification, ACSM (American College of Sports Medicine) Specialty Certifications, and more. These certifications help trainers get an insight into understanding a variety of training variables including (but not limited to) maximal aerobic potential, anaerobic capability, mechanical regulation and economy of movement, exercise recovery, cardiovascular response, muscle strength, immune response, morphological adaptations, detraining, metabolic responses, thermal regulation etc. and how to identify the need of and appertain each of these variables. Physical training per se requires a very high degree of engagement; physical training for people with special needs yearns for an even higher commitment, one needs to be more of a trainer. Working with special needs population can be extremely challenging and demanding. But at the same time, it can be profoundly rewarding. To quote the inspiration of this article, Varun Rattan, - “…it’s not a job, it’s a calling. It’s like connecting you with your purpose, your raison d'être, something that gratifies your soul”. There are two types of youth sports parents. Type-1, parents who realize the ancillaries of youth sports can be far more rewarding for the child than the skill of the sport itself, things like team spirit, physical fitness, cooperation, determination, discipline and the list goes on. Then there are the type-2 parents who dedicate their time and money to youth sports keeping in mind college scholarship or even a sports career for their child. There is nothing wrong with either of the types, but it’s important to know which side of the fence are you on. It’ll save you a lot of time, energy and of course money to know the level of commitment you need to give to the sport. The first thing you need to do is let your child decide if she wants to play. If the child doesn’t find a calling then, there’s a fair chance she will give it up later, even after having taken professional training. The best place to start would be paying attention to your child. expose her to different sports. if there’s something she likes, you might want to introduce it to her as a trial. If she likes it, you’ll know. If she doesn’t, let her try some other sport. Even if she’s giving up too often, you get to discover what’ll not be. Even that’s good for a start. When your child picks up a game she likes, and is faring well at the game, you might want to go easy to begin with. Going easy would not mean pulling back on the exposure, but it really means don’t jump up to buy the best of gear, or enroll too early in professional training, or go overboard on the expenses. Remember, this is just the start. There’ll be more expensive gear, travelling, private training and so on. Being good at a sport is one thing and being passionate about it is another. Give your child the time and space to figure out if that is her calling. Till then you might choose to play local, join parent groups for carpool, swap gear or try used gear at a goodwill store or even organize one such camp yourself. The next thing you will need to work on is your budget. Make a budget where you have allocations for everything including your retirement planning and college fund. Once you know how much money you have and how much you can cut other expenses down, you will be able to take a fair call. Last and the most important thing to do is be realistic. You need to look for an anchor to base your commitment. Is your child good at the game? Is she passionate about it? is she willing to walk the extra mile and give the kind of dedication sports demand? Not all ‘good’ players become pro and not all pros have a sprawling sports career. Having said that, you need to take your call as to what ‘type’ are you, and given what you are investing, is it worth it?